Imagine...your ceremony in the natural splendour of the African bush with rhino, giraffe, zebra, wide variety of antelope, partaking in your wedding celebration. 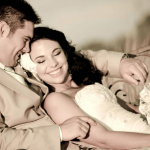 We offer the complete wedding package, personalized service and attention. We understand the dreams and wishes of every bride and groom, and we will go the extra mile to make sure that all requirements are met. Accommodation is available for 42 people in 18 luxury units. We are also surrounded by a number of guest farms and other places to stay. Relax while our team takes care of every small detail to contribute to the perfect day in your life. We understand the dreams and wishes of every bride and groom, and will go that extra mile to make sure that all requirements are met.Tsekama is the perfect venue for adding a touch of magic and style to your wedding day. Tranquil, serene and picturesque, providing a natural but very romantic atmosphere. The Lodge is a mere 130 km north of Pretoria near the Kranskop Toll plaza and offers the ideal location for a wedding with a difference. Tsekama is the perfect venue for adding a touch of magic and style to your wedding day. Tranquil, serene and picturesque, providing a natural but very romantic atmosphere. The Lodge is a mere 130 km north of Pretoria near the Kranskop Toll plaza and offers the ideal location for a wedding with a difference. The venue is built around a private dam with a jetty and gazebo in the dam. The minister, bride, as well as the groom are accommodated under the gazebo on the dam, which is connected via a walkway while guests area seated on the wooden deck.